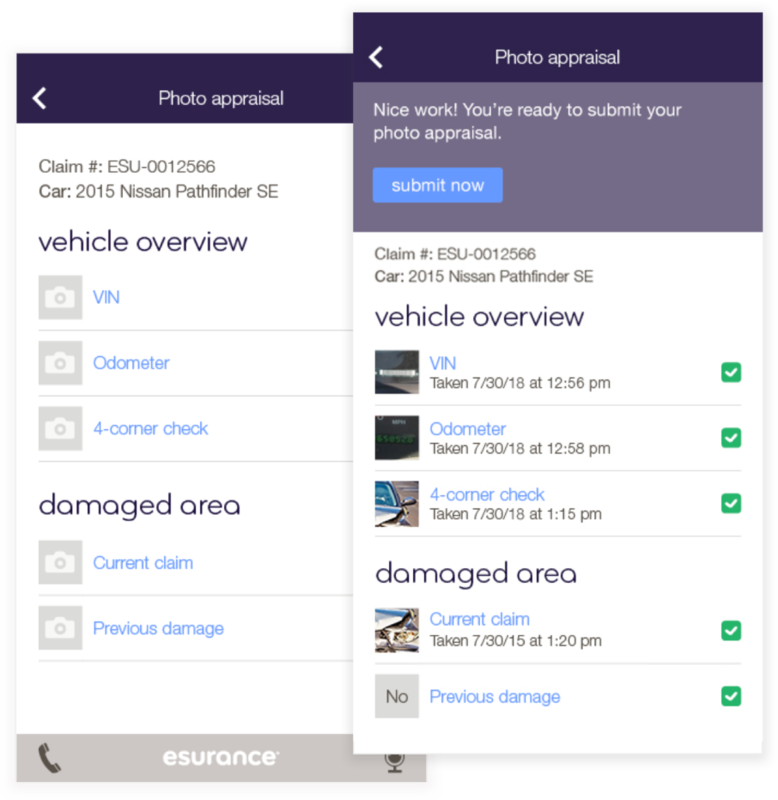 Photo claims allows customers to submit a claim quickly from their phone without waiting for an appraiser. 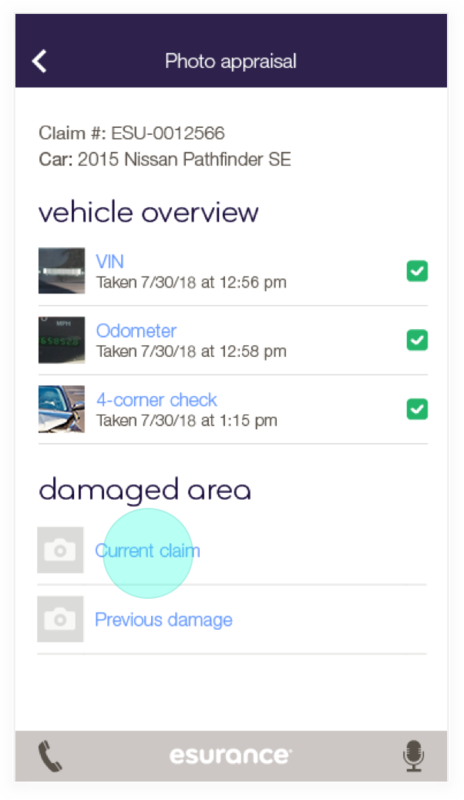 After starting a claim through Esurance Mobile the user snaps pics of the damage and submits them through the app to get an estimate and a payment. Developed the user flow and UI mockups aligned with the company’s mobile visual interface system. 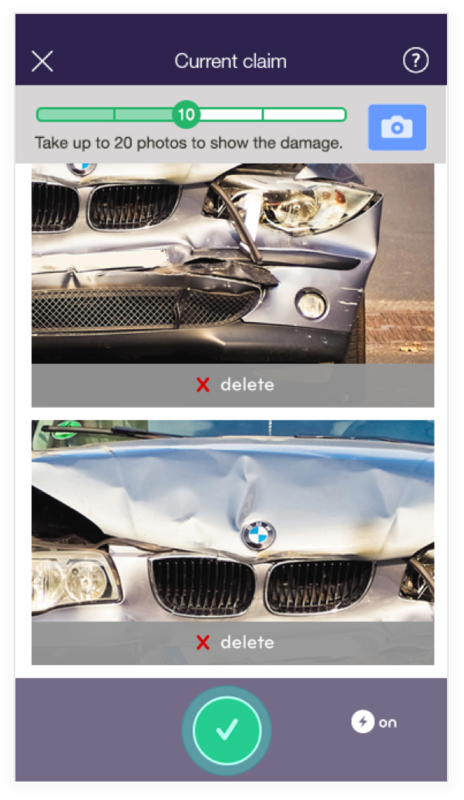 Guide the user through the appraisal of a car accident claim. 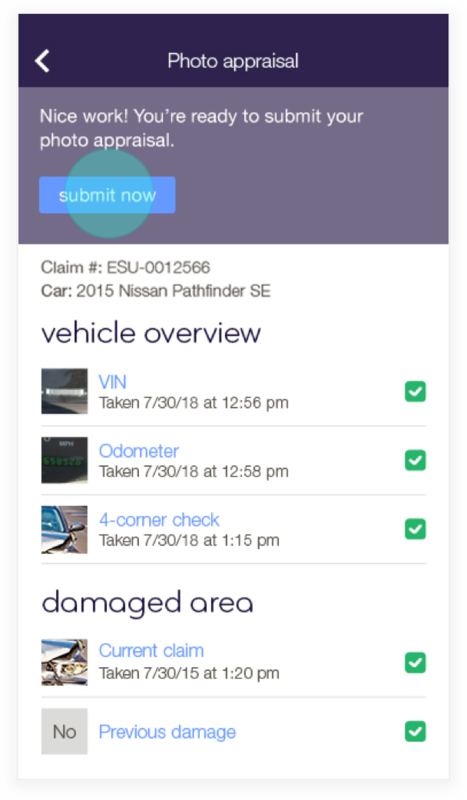 Provide them with a clear path and instructions how to deliver legally required photo documentation through the app. We divided the photo appraisal task into steps parallel to areas of the car that needed to be photographed. For each step we created a sequence of screens focused on instruction, photo taking and approval with a review and retake options. After completing each step the user is taken back to the index screen where they can see where they are in the process and select the next step.